Presented by Rooted Blossoms, Sacred Resonance is an offering of interwoven movement, meditation and healing sounds. An offering of compassionate, soulful presence and communion with self and in community. Danielle Patrice of Rooted Blossoms will be leading a restorative yoga practice and compassion meditation. A beautiful healing sound bath by acoustic guitarist, Bryan Reichert, will culminate this gathering at Abide Yoga. Bryan Reichert, guitar, Guitarist Bryan Reichert's active music career features a great enthusiasm for performance and teaching. Bryan’s recent Cleveland area performances include Church of the Covenant (University Circle), The Cleveland Museum of Art (Classical Cafe Series), and The Parma Symphony. Reichert works as a private lessons teacher, holding a teaching position at Baldwin Wallace University’s Community Music School. He also teaches at the conservatory level, instructing Beginning Guitar Class at Baldwin Wallace Conservatory. In addition, Reichert works with the Cleveland Classical Guitar Society as Director of Operations and had previously held the position of Education Outreach Coordinator for the organization’s Education Program. 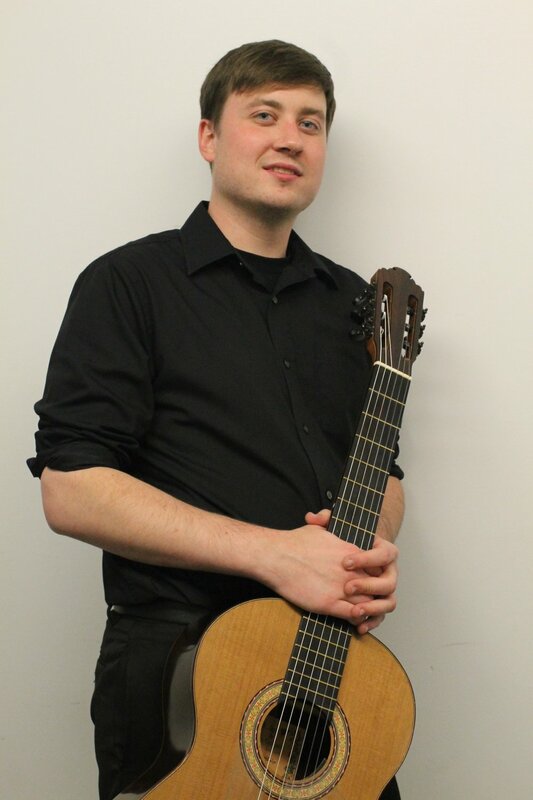 Bryan Reichert is a graduate of the Cleveland Institute of Music, under Grammy-winning classical guitarist Jason Vieaux. Visit www.guitarbr.com for more information about Bryan Reichert.